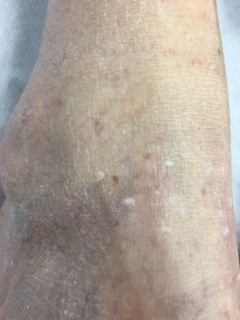 Stucco keratosis was first described by Kocsard and Ofner in 1965. 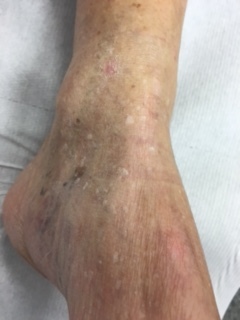 It is benign growth on the skin charactetized by aymptomatic, grey stuck-on papules with a dry/rough surface in the distal lower acral extremities. It is more frequent in the ankles. 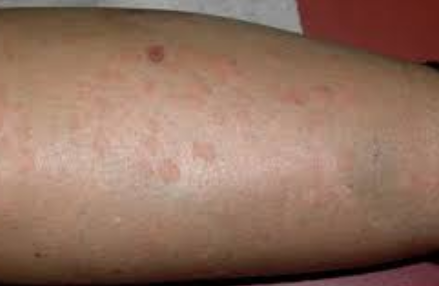 The lesions in many cases are numerous, from a few to many (as dozens), from 1 to 10 mm in diameter. 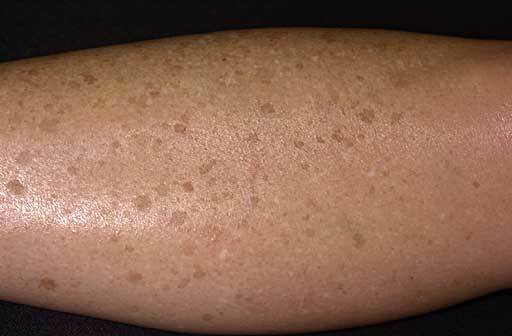 The lesions appear to be stuck on, hence the name stucco keratosis. They affect the male population in general, aged over 40 years, without any hereditary transmission. The cause of stucco keratosis is unknown but most patients are aged and report a history of prolonged, severe and excessive solar exposure. 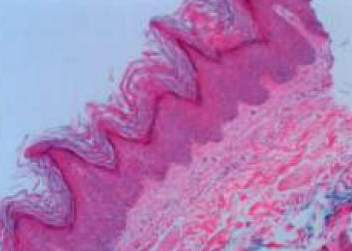 Histologic examination shows a church spire–like epidermal hyperplasia similar to that in hyperkeratotic seborrheic keratosis is seen. 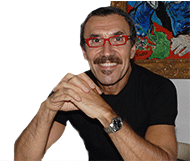 Each treatment presents its own set of advantages and disadvantages. sunblock with high SPF factors and wear clothing that covers the skin as much as possible. 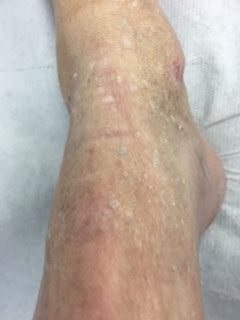 urea containing creams to soften the lesions (do not disappear completely).